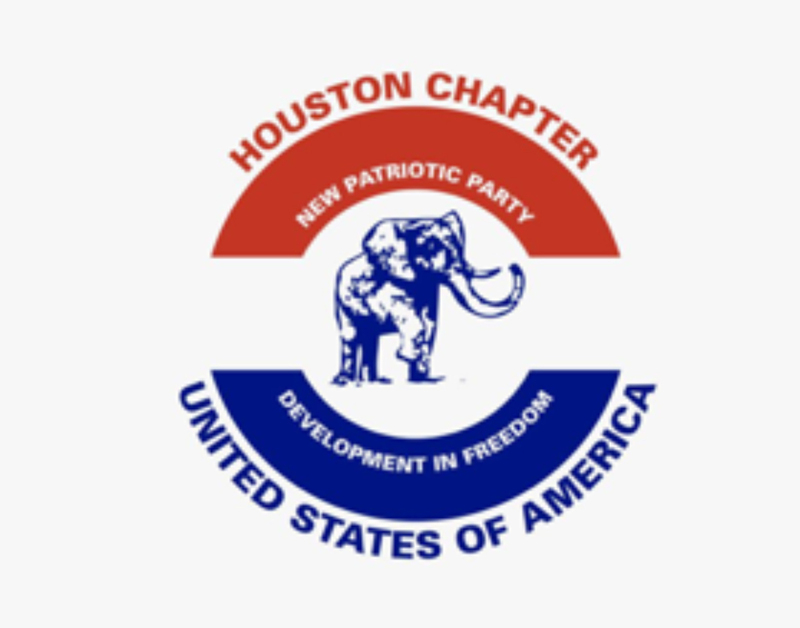 NPP-USA Houston Chapter Elects New Executives – NPP USA Inc. The members elected Jude Osei Owusu as the Chairman of the Houston chapter. The members also elected Dr. Josiah Halm as the Vice Chairman, Bernard Kwame Kujem as Secretary, and Daniel Mensah Opoku as Organizer. 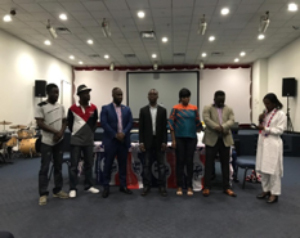 The rest are Esme Akofa Kwami, women organizer; Priscilla Agboka, Treasurer; Nana Yaw Asikuma, Youth Organizer; and Fred Ekow-Wilberforce was elected as the communications director. The Chapter Executives being sworn in by Obaa Yaa Frimpong. From Left: Mr. Yaw Asikuma, Mr. Ekow Wilber-Force, Mr. Jude Osei Owusu, Mr. Bernard Kujem,Mrs. Esme A. Kwami, Mr. Daniel Opoku. In his statement, the immediate past chairman, young chairman Gyamfi Nkrumah, encouraged the new executives to show great leadership, commitment and honesty while in office. Furthermore, the past chairman stated that during the reign of the immediate past executives NPP Houston Chapter, did not only assist the NPP party financially, but they also helped to win the Mfantseman parliamentary seat, and were very instrumental in hosting the then NPP presidential candidate Nana Akufo Addo and Vice president Dr. Bawumia in year 2010. According to chairman Gyamfi, the Houston chapter now have good financial stability and a vibrant web presence. He concluded by charging the new executives to use the achievement of the past executives as a benchmark to springboard to higher heights in order to help the NPP party retain power and also win Mfantseman parliamentary seats again in election 2020. Mr. Jermaine Nkrumah who was also one of the founding members of the Houston chapter, gave the gathering a short history about the chapter and pledged to support the chapter in any means possible. 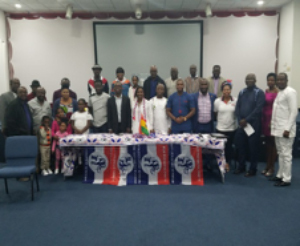 Other Patrons in the persons of Mr. Kwame Acheampong and Mr. Yaw Mensah, took to the podium to advice the current executive members to bury their ranks and work hard for the party to retain power come election 2020.